YOU are the greatest asset for ECHOES Around the World! ECHOES can only accomplish these great works with YOUR support. Please donate today! Will you say YES! IN 2018? For a few dollars a day, you can make it possible for a deserving Ugandan child to attend one of ECHOES’ partner schools for the 2018 school year and have a chance at a brighter tomorrow. ECHOES’ YES! (Yearly Educational Support) Program matches sponsors with promising students who can no longer afford to attend Trinity Children’s Centre or Centenary High School. In a country of extreme poverty where the average family has six children, many parents simply cannot afford tuition as their families grow. Some students are orphaned, having lost their parents to AIDS, hunger and other diseases. 45% of the 1200 Trinity students and 30% of the 800 Centenary students are unable to pay the full amount of their annual tuition and/or board. Each candidate for a YES! scholarship is handpicked for his or her love of learning and academic promise in diminished circumstances. Without YES! support, these children would have to attend one of Uganda’s overcrowded, failing public schools. $550 sponsorship will pay for Trinity Children’s Centre tuition, room and board, supplies and uniforms for one student for one academic year (February to December). $800 sponsorship will pay for Centenary High School tuition, room and board, supplies and uniforms for one student for one academic year (February to December). You may sponsor your child via a single donation of $275, $550 or $800. Each sponsor will receive a photo of their sponsored child along with a personal note of gratitude. Donations of any other amount are also welcome and will be combined to sponsor a student. ECHOES Around the World is all-volunteer organization that is always seeking like-minded individuals to participate in our programs. Many of our volunteers have visited our programs in Uganda, but there are ways to participate here at home. 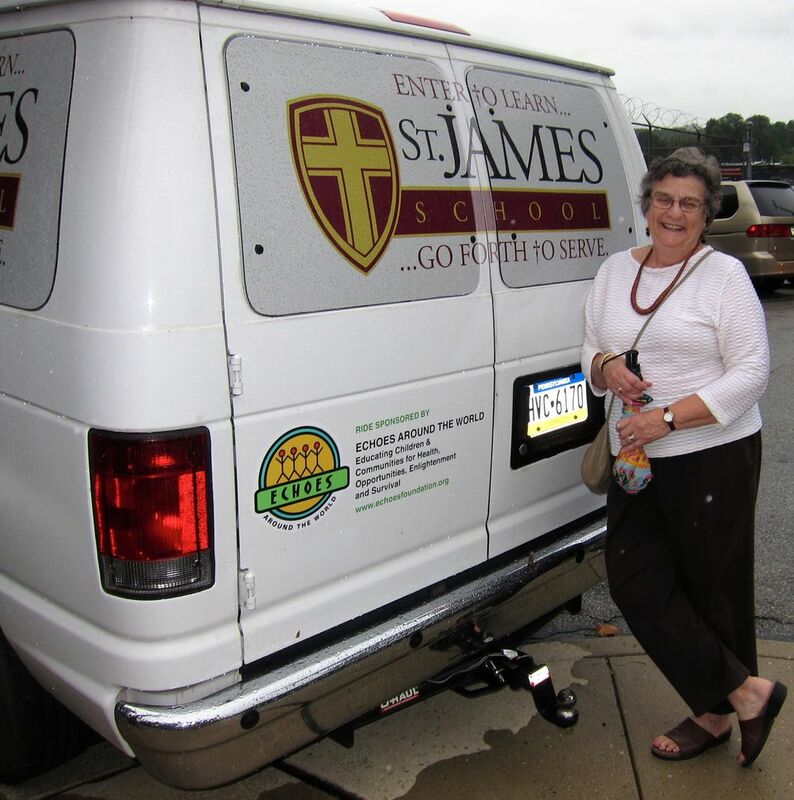 If you live in the Philadelphia area, volunteer opportunities at the St. James school are available. These gifts of time and expertise help us to maximize our limited resources and provide our students with high quality services. If you are interested in learning more about how you or your business might make a difference, please contact us.